Right now, content marketing is all the rage. Ask any online marketer or agency what they’re currently having the most success with and a majority of them will mention blogging. The growing importance of adding new content to your website on a regular basis has pushed a lot of companies to pour hours into creating amazing blog posts with the hopes of improving their SEO and attracting new leads. However, there’s more to content marketing than just writing blog posts. You need to learn how to promote your blog to get it in front of the right people. Otherwise, all the hours you put into creating that mind-blowing piece of content will have been for nothing. If you mentioned a blogger, online publication or influencer within your article, reach out to them and let them know. Most people are thrilled to be quoted within an article and will share it with their audience. Don’t be afraid to ask for the share either. Just shoot out a brief email letting them know you mentioned them and that you would appreciate them sharing it with their audience. This is also a great way to start making connections and meet bloggers in your industry without being pushy. Another great place to reach out to people you mention within your blog posts is Twitter. Instead of just Tweeting the title of your post and a link, create unique Tweets that @mention sources you mentioned within your content. 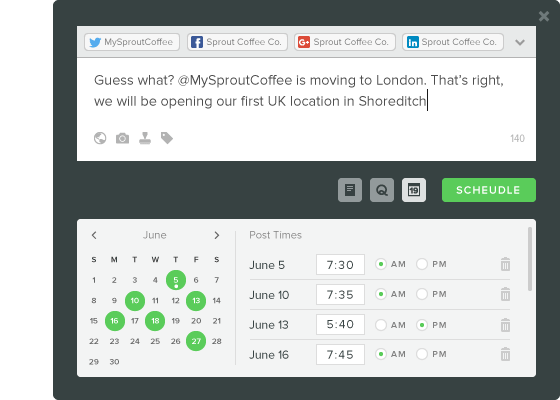 For instance, if your post links to an article you found on Sprout Social, create a Tweet including “@SproutSocial” when you share your post. The accounts you @mention will receive a Twitter notification, and they may reply or Retweet you. At the very least, you’re grabbing their attention. Tweeting a link to your post once and then forgetting about it has little to no effect unless you have hundreds of thousands of extremely engaged followers. Due to how quickly content moves on Twitter, you won’t be able to reach all of your followers, or even most of them with a single Tweet. Your followers are online at different times throughout the day. 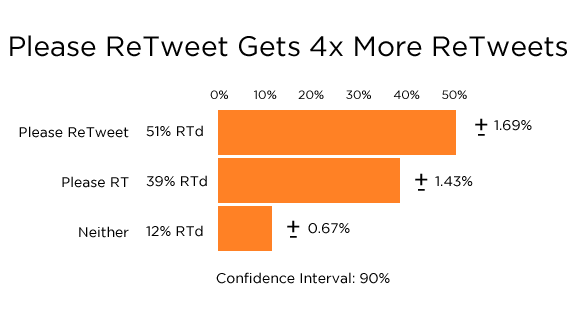 In order to get the most reach possible, you need to Tweet multiple times. The easiest way to do this is to create multiple Tweets, then use a social media scheduling tool to assign them out for different times and days throughout the week. The same thing applies for other social networks as well. LinkedIn is one of the most underutilized social media channels for content promotion. And the companies that do share content on LinkedIn take the wrong approach. They simply share a link on their feed and move on. A more effective approach is to use one of the most powerful features of LinkedIn, which is your network. When you create a new blog post, send a message to people in your network that you think would find it interesting. Of course, this method is more effective with connections that you’re in touch with on a fairly regular basis. Messaging your connections once a year to tell them about your latest blog post makes you look like a spammer and it’s bad etiquette. Find people who have shared content similar to your new post and reach out to them. Finding posts that are in the same vein as yours is as simple as doing a Google search for similar topics or using a tool like BuzzSumo. For instance, if you wrote a blog post called “10 Tips To Whiten Your Teeth,” you could Google “teeth whitening tips” to find posts that are similar to yours. Then plug that URL into Twitter to find Tweets containing that link. Alternatively, you could do a search in BuzzSumo for the main topic of your post and see a list of articles that have been highly shared on social media. Then click on “View Sharers” to see people who have Tweeted a link to the article. In addition to reaching out to people who have shared similar content, you should also reach out to sites that have linked to similar content. You can use Open Site Explorer, Ahrefs or any other backlink checker of your choice to find the sites that link to a particular article. Put together a list of these sites and send an email to them letting them know you’ve created an article similar to a piece of content they’ve linked to in the past. At the same time, your emails should be personalized for every site you’re contacting. Why handle all of the content promotion yourself? What if you could get other people with established followers to share your content for you? That’s what this tactic is all about. Find influencers in your industry. Tell them about your new post. There’s a good chance you already know who some of the top influencers in your industry. 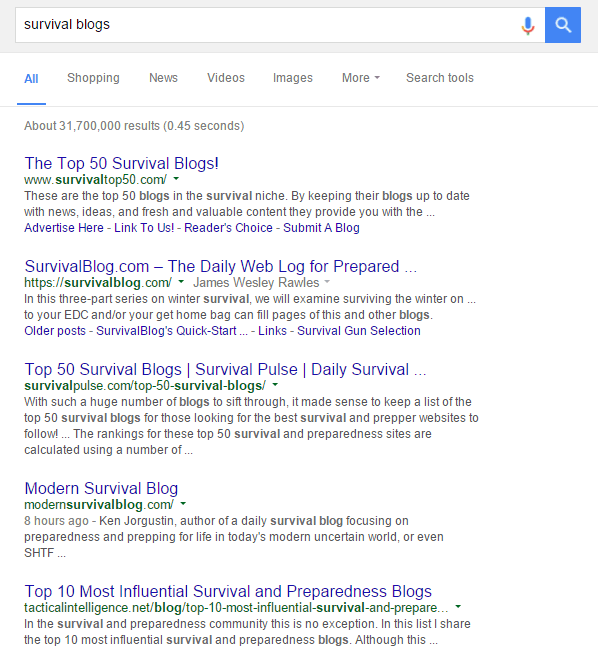 If not, you can do a Google search to find popular blogs related to your field. A simple search like “industry blog” will bring up plenty of results. Put together a list of influencers in your industry that you can reference back to whenever you want to do blogger outreach. Start building relationships now instead of waiting until you need something. That way influencers are already familiar with you before you ask them to share your post. Podcasts have made a strong resurgence in the last two to three years. With hectic schedules, people are constantly on the move, so they prefer to consume their content by audio rather than reading through an entire blog post. In order to reach this audience, you can make an audio version of your blog posts. You don’t just have to read your blog post aloud. Give your listeners a special experience by adding extra insight that’s not inside the original post. Another option is to invite guests to talk about the topic of your blog post. For example, if you created a blog post about the health benefits of sweet potatoes, you could interview a dietitian or health blogger about the same topic and have an entertaining discussion. Once you have your audio recorded, you can upload it to Sound Cloud, Stitcher or iTunes as a podcast. Another great way to repurpose your blog posts for extra promotion is to turn them into slide decks and share them on SlideShare or other presentation sites. Don’t take the lazy man’s approach and just copy and paste each paragraph onto a white slide. Re-work the content into a professional looking presentation. This technique works particularly well with list posts or “how to” articles because each slide can be a different tip or step in the process. When you upload your slide deck, include a link back to your full article in the description section. You can even link to the article within the slide deck. This will help push new traffic to your site instead of having them just exit out the page once they’ve gone through all the slides. Just like some people prefer audio content to text, others prefer video. Making a video can expose your blog post to an entirely new audience of people looking for video-based content on your topic. Your video can be a short two-minute overview of the topics you discussed in the blog post. You could also just further talk about one of the main points mentioned in the article. WPBeginner does an excellent job of turning its tutorial posts into videos, which allows the site to serve people who prefer to read through a guide as well as those who want a video walk-through. StumbleUpon is a content discovery site. It suggests blog posts based on your interests. 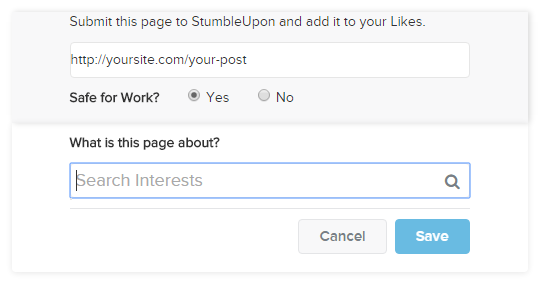 One of the ways StumbleUpon gets content to suggest is through people submitting URL’s. Here’s how to do it. Then, fill out the information and click save. Sometimes Pinterest gets overlooked in the social media marketing conversation. However, it can be a powerful source of referral traffic for your blog. Murals Wallpaper used Pinterest marketing to get a 77% boost in new site traffic. If your audience is on Pinterest, you can achieve similar results. In order to get a piece of the Pinterest pie, start by creating an image specifically to be shared on Pinterest instead of just uploading a picture from within your picture. Refer to our social media image size guide to find the latest Pin size. Here are some additional tips to get more eyes on your Pins. In addition to reaching out to your LinkedIn network, another great place to go is LinkedIn Groups when you’re looking how to promote your blog. LinkedIn Groups work well because you’re guaranteed to get your content in front of people who you know are interested in your industry or topic. The mistake that most businesses make with LinkedIn Groups is they don’t add value. They simply use it as a way to syndicate their latest blog posts. In other words, they spam. The majority of your activity should be answering questions from other members and participating in discussions. Only share a blog post with your groups when it’s relevant, and be careful not to overshare. You want to be known for the value you bring to the group, not for being a spammer. Blog commenting gained a bad rap because of online marketers who were using them as a way to get mass backlinks to boost their search engine rankings. However, the benefits of blog comments go far beyond SEO. The comments section of popular blog posts can be a goldmine to promote your blog organically. 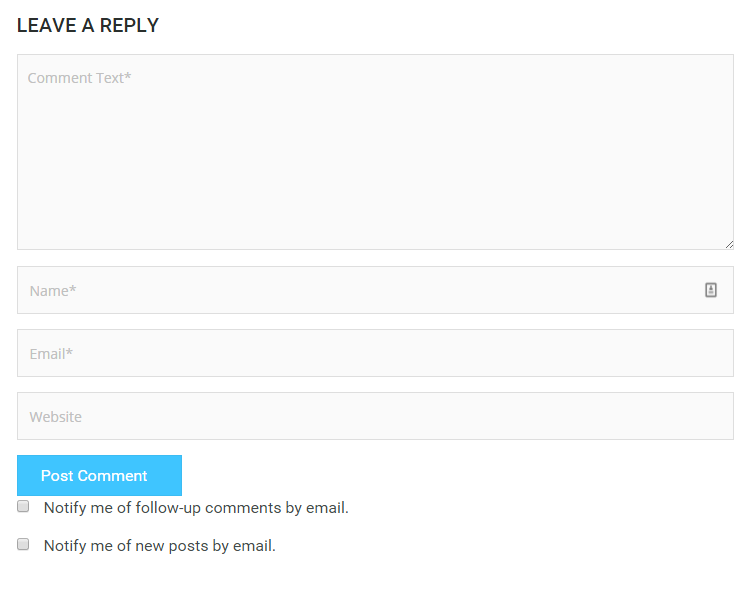 For most blogs, in order to leave a comment you have to fill out your name, email and website. The website section is what your name will be linked to. Start by finding popular blog posts focused on similar topics as yours. Then, go into the comments section and leave a genuine comment about the piece. You could even reply to someone else’s comment. 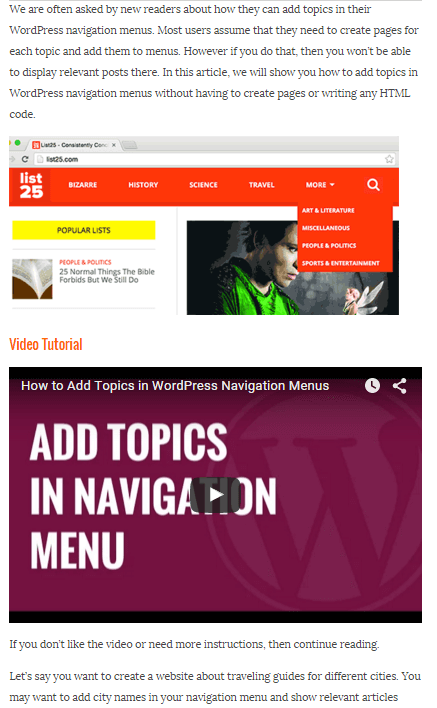 In the website space, enter the URL for your blog post instead of your home page. Keep in mind that this strategy works best if you take the time to leave real comments. Just writing “great article” isn’t going to cut it. You goal is to get people to stop and look at your comment, and hopefully feel enticed to click through to your website. When you’re looking for places to learn how to promote your blog, you should think about the platforms that encourage conversation. There’s no better place online for that than forums. Once you’ve found an active forum, create an account. This is the part where most businesses mess up. They just go into the forums and start posting links to their sites. This is a good way to get your account banned. Instead, you’re going to use your signature to promote your site. Your forum signature is the section that appears below every post you make. Then start posting in different threads and contribute to conversations. The more helpful and valuable your posts are, the more likely people will be to click the link in your signature. You can update the link in your signature as often as you like on most forums. Does your blog post answer a question or provide a solution to a problem? If so, then using Q&A sites like Yahoo Answers and Quora to promote your blog can be very effective. Start by creating an account on either site. Yahoo Answers tends to have more general questions, while Quora typically requires more in depth answers. Next, search for questions that your blog post can answer. Once you find one, write out a sincere answer to the question and link to your blog post as a resource for additional information. Don’t just give a one word answer and link to your post. The more effort you put into your answers, the better results you’ll get. Also, become a regular contributor on Q&A sites to build your credibility and authority. Many of these sites highlight top contributors which can give your blog even more exposure. If you want to know how to promote your blog, sparking a little controversy in your content can certainly help. However, w’re not recommending to turn your website into a gossip blog. If you’ve written a piece of content that goes against the grain or offers a different view than another popular post, you can email the other blogger and let them know. A great example of controversial blogging in action is when Mark Schaefer published an article debating the sustainability of content marketing. Because content marketing has been one of the most popular marketing tactics in recent years, the post sparked a lot of interest. To date, the post has nearly 400 comments and over 4,500 social media shares. An overlooked tactic on how to promote your blog posts is through your existing content. If you’ve published a new article that’s related to a popular article you’ve published in the past, add a link to the new article inside the older one. 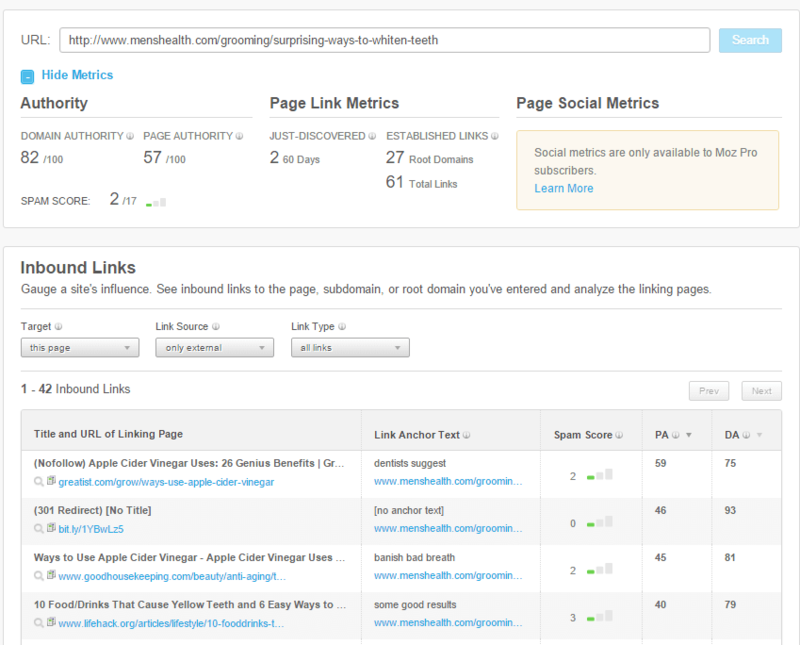 Not only will this get more traffic to your new post, but internal linking is also beneficial for SEO. You can find the posts on your site that have received the most visits by logging into your Google Analytics account under Behavior > Site Content > All Pages. Simply asking your readers to share your content can immediately get more eyes on your site. One study found that websites with Twitter share buttons were mentioned seven times more on Twitter than those without them. It doesn’t stop at your site either. When you share content on social media, ask people to share it with their audience as well. Tweets that specifically ask for a Retweet get four times more Retweets. Add social media share buttons in each post. Ask people to share your posts when you promote them on social media. Ask readers to share the post at the end of your articles. This last idea might seem fairly obvious. But there are a lot of businesses that don’t send emails to their subscribers when they publish a new post because they feel it’s too promotional or they assume their email subscribers are already aware of their new content. Depending on how often you publish new blog posts, you can send an email out each time you have a new article, or do a weekly newsletter that contains all your latest posts from the previous week. Taking the time to promote your content is crucial if you want to succeed with blogging. Many experts recommend spending more time promoting your content than you do creating it, which shouldn’t be a problem with the 21 techniques you just learned. Ensuring your promotional behaviors is essential, which is why you’ll want to use a social media publishing tool to keep articles spaced out and shared at right time. If you found these tips helpful, share them with your network. And leave a comment to let us know what your favorite way to promote your blog posts is!